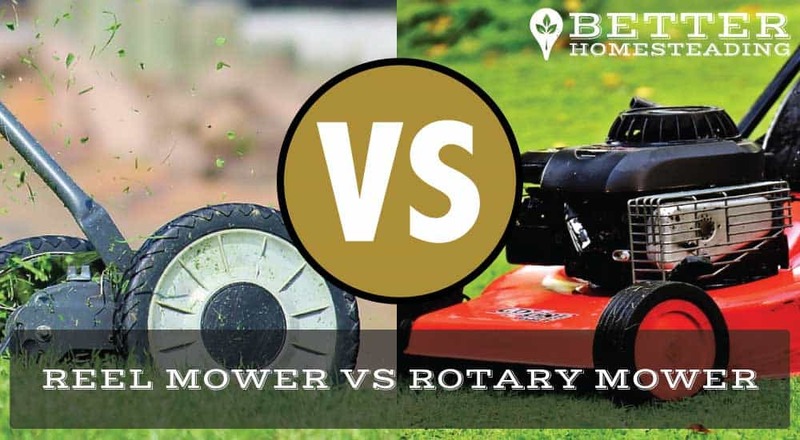 Choosing between a reel mower vs rotary mower is becoming somewhat less of a choice these days, as rotary mowers are claiming the lion’s share of the market. Mass-produced electric and gas rotary mowers are pretty much all you see in the lawn care showroom, and it’s a shame. The manual or powered reel mower is actually an exceptionally effective lawnmower. After all, they have been around since the mid-1800s, and the design hasn’t changed that much. Also known as cylinder mowers, the first models (in fact, up to the mid-1900s) were all manual, the operator pushed the mower. These days, there are still manual push mowers around, but also electric and petrol versions. For golf courses, reel mowers are pulled behind tractors and can cut large areas of grass quickly. Let’s take a look at how each model works, and evaluate the cylinder mower vs rotary motor argument. Is there one which is better? Reel mowers are exceptionally simple in design. They all have a ‘cylinder’ (or reel) of blades spinning on a central axle. The wheels on the reel mower turn that central axle and cause the reel to spin. The cylinder blades also create an updraft that helps cause the grass to stand up, ready to be cut as the cylinder blade meets it and presses the grass against the cutter blade, see diagram. A lot of people think that it is the blades on the cylinder that are solely responsible for the cut, and spend time with a file and angle grinders sharpening those up. For small lawns, the manual reel blade mower does an excellent job, I just picked up a new Bosch reel mower here in the UK, but in the USA, something like the Great States 415-16 16-Inch Reel Mower Standard Full Feature Lawn Mower is an excellent choice. Reel mowers are very effective, providing the lawn is not too undulating and the grass is not too long or wet. The precise ‘scissor-like’ cutting action of the reel mower cuts the grass very cleanly, leaving a nice look and much healthier lawn. Most reel mowers come with a grass catcher, I prefer to leave it off and let the cut clippings lay on the lawn surface. These are broken down very quickly and actually act as a high-quality fertilizer for your lawn. I’ve written an article about how to mow a lawn with a self propelled reel mower if you’d like some more advice. 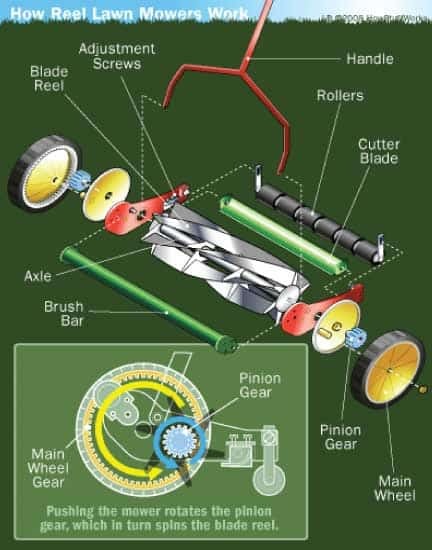 Reel mower blades spin via a horizontal shaft, driven by the wheels. On a rotary mower, the blade cuts in a horizontal position, driven usually by a small engine (electric or gas driven), the drive shaft of which protrudes downwards through the mower deck housing and attaches to a large blade that spins at high speeds. The deck prevents grass and debris from being thrown out to the sides. Most rotary mowers will come with a grass catcher, but this can be dispensed with if you like to use the clippings to mulch your lawn. The design of the rotary mower is simple and can cut a wide variety of grasses and grass conditions effectively. The blades typically spin at around 3000 rpm. If blades are kept sharp, the rotary mower can produce a clean cut. But many rotary mower owners do not look after their mower blades, which results in blunt blades not cutting the grass cleanly, and almost bruising it. This does little for lawn health. I use a rotary mower for larger areas of lawn on my property. Something like the GreenWorks 25022 12 Amp Corded 20-Inch Lawn Mower is a good electric rotary mower. If you are looking for a gas model, Amazon stock a great range if gas powered rotary mowers HERE. Reel and rotary mowers can both do a great job, if they are used in the correct situations, and are well maintained. Here are a few considerations before buying. Cost – Reel mowers, manual models in particular, cost a lot less than gas or electric rotary mowers. Safety – Push reel mowers do tend to be less dangerous than the rotary lawn mower, the blades do not spin at anywhere near the RPM of a powered mower. Maintenance – Reel mowers require very little maintenance. A quick blade sharpen, a couple of times each season, some oil to the moving parts, and that’s about it. The gas or electric mower requires more expert maintenance and servicing, something the owner may not be able to do themselves. Noise – Reel mowers are quiet to use. Other than the relaxing whirr of the cylinder spinning, there is no noise pollution. Environmental – Other than the noise issue, electric and gas mowers require energy, and that energy tends to come from fossil fuels. A human-powered mower relies on nothing but you to propel it. Weight And Transportation – Reel mowers are light and easily transportable. Rotary mowers are heavy, bulky and cumbersome. You also need an electrical outlet or a can of gas to be able to use them. 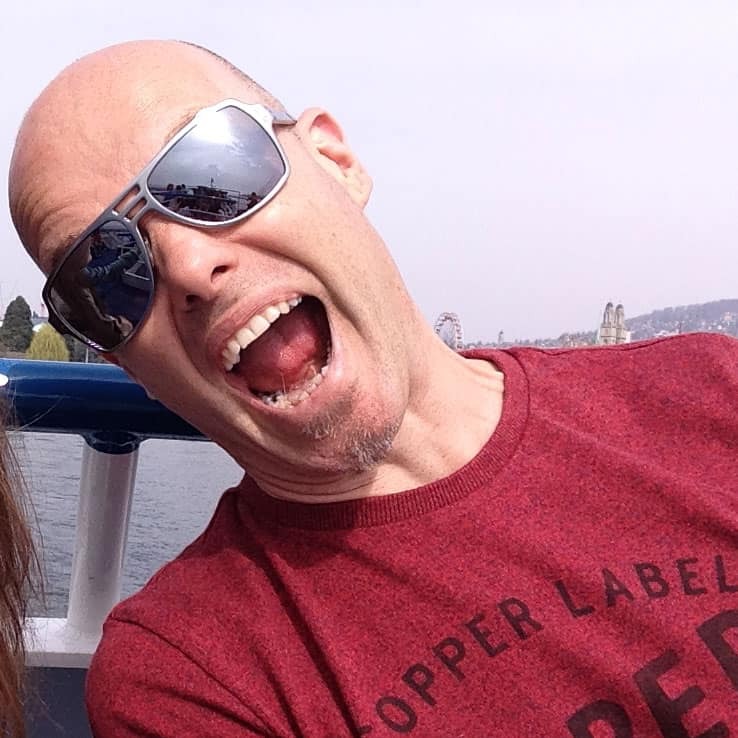 There is an obvious trade-off here. A little sweat perhaps, but the effort to actually push a manual reel mower is no more than to push a large rotary mower across a yard. As long as the lawn is cut regularly, I would say that the effort to get a push mower out, cut the lawn and put it away is a lot LESS than for a rotary mower, petrol or otherwise. If you’re considering a reel mower, this article on the pros and cons or reel mowers might be right up your alley. I’ve used all types of mowers. Ride on, electric, gas, self-propelled, manual. 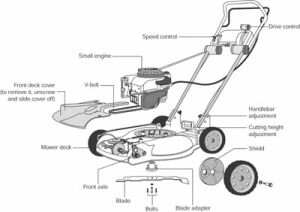 I have a couple of pointers on how to mow a lawn properly, and the type of mower that is most suited. With a relatively small lawn, the manual reel mower is my definite recommendation in the reel mower vs rotary mower battle. At first, it seems like a regressive step, to use manual human power in a world of power and automation. But once you start, you’ll come to love the push mower. If you have a huge lawn, the push mower can still work well, it just depends on whether you are up to making the effort. I hope that you do! Which type of mower do you prefer for your lawn care? Have you ever used a push mower? Leave a comment and share your experiences.